Looking "where to sell my BMW Z8?" Ask the Chicago Car Club! Are you wondering "where to sell my BMW Z8 ?" The Chicago Car Club is interested in classic cars of all makes and models, especially a BMW Z8. We make the process of selling your BMW Z8 quick and painless. In just a matter of hours we will have your classic valued and, if you do so choose, turned into money in your pocket. All it takes is a phone call or electronic inquiry to get the ball rolling. 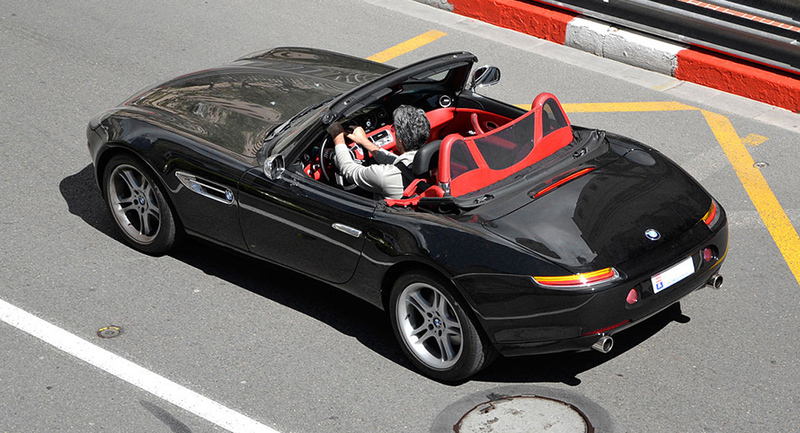 The Z8, designed by Henrik Fisker, began with a concept car called the Z07. When the Z07 was revealed in 1997 at the Tokyo Auto Show, it garnered an enormous amount of support, prompting BMW to go ahead and put the car into production. The Z8 stayed relatively true to the original Z07 design. Like many other BMWs, the top speed was electronically limited to 155mph. The zero to sixty acceleration was impressive, with the 3560lb Z8 covering the distance in 4.4 seconds. The Z8 had just shy of 400 horsepower. The BMW Z8 was always intended to be a limited run, and in many respects, it is a small wonder that it got made at all. All said, there were just over 5,700 Z8’s produced before the model ended production in 2003. Though the BMW Z8 had a limited run, it was more than enough to endear itself in the hearts of car lovers everywhere.